Nowadays, people exchange business emails more than they do business letters. However, writing business emails leaves room for some questions. For example, should you write in a formal business tone or in a casual tone? If you want to know how to write better business emails, then read these five tips. The subject line is important because it alerts your reader as to what your email is about, so make sure you write a short but informative subject line. Never write a long sentence as your subject line; a few words describing your email content or purpose will do. And never leave the subject line blank either. You don’t need to write a novel. Long emails can be cumbersome to read. Just write a brief and concise text explaining your purpose. If you need to elicit a response from your reader, formulate questions that need short answers like “yes” and “no”. Business emails can have a conversational tone that is less formal than a normal business letter. However, be careful not to make your tone too casual or too familiar. You should also write in proper business English as much as possible. Some business emails may allow the use of emoticons, but this is usually done when the people exchanging emails have already established a business relationship. Generally, you should limit or avoid the use of emoticons because they will make your email look unprofessional. Using emoticons in your cover letter as you apply for a job, for example, is unacceptable. 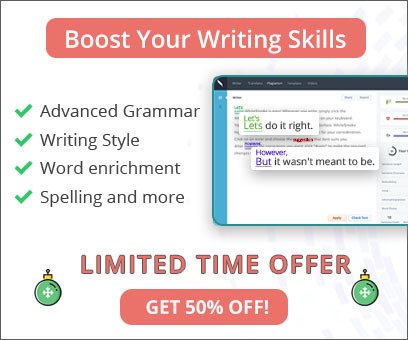 Check if your email has grammatical and typographical errors. 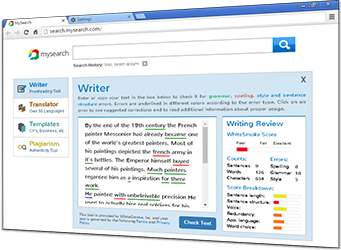 If you have a hard time writing business English, try WhiteSmoke's Business English version program to help you.